Wow! 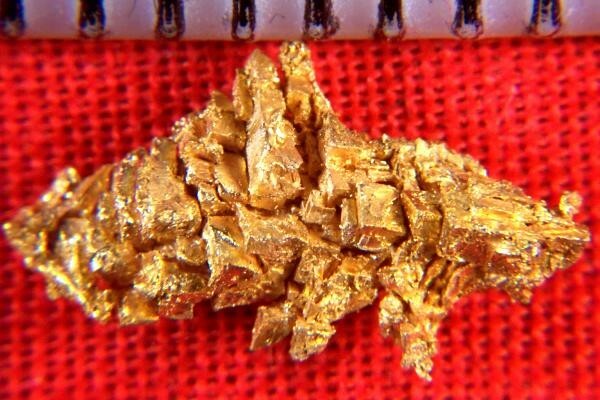 This natural gold specimen is unbelievable. It is a mass of intricately connected cubes, trigons, and octahedrons in a really fantastic shape. I hand selected all of my crystalline gold nuggets to add to my collection, and this is one of the most spectacular gold specimens that I have seen. 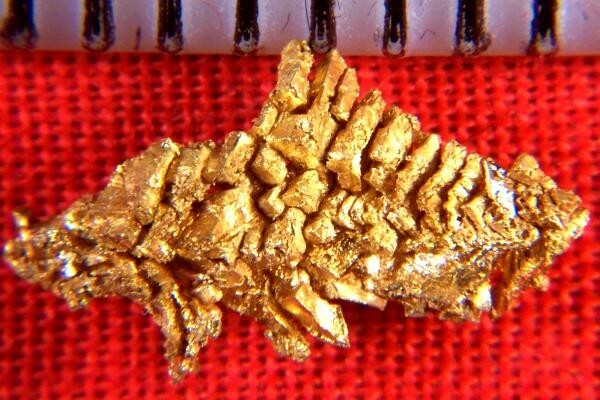 This incredible gold crystal is 1/2" (12 mm) long and it weighs 7.6 Grains (.49 Gram).